An escape for a few days at the lake is ideal to unwind and recover from the pre-Christmas stress and bustle of the holidays. Let’s discover together the magic of Lake Garda in winter. Christmas holidays have just ended. Every year the festive days seem too few to rest and recharge your batteries. And maybe the family meals and the races for last-minute gifts have left us more tired and burdened than before. Maybe we were able to enjoy a few days of leisure in the atmospheric Christmas markets or to celebrate New Year’s eve on Lake Garda. But now, past the holidays, it could definitely use a vacation from the vacation. Let’s begin with an activity, not too hard, to recover from the excesses of lunches and dinners. Until February 26th we can leave for an excursion with snowshoes to explore the Ledro Valley. The Network of Reserves of the Ledro Alps, thanks to the experience of the Alpine and environmental guides, organizes a series of unmissable events for snow enthusiasts. Get caught by the magic of a snowshoe hike by moonlight to Tremalzo and Molina di Ledro. Choose the hiking trails more suitable for your preparation and discover the Lake Garda area in which they are organized. Mount Baldo, with its forty kilometers of slopes, is the ideal destination for lovers of winter sports. This massive, between the provinces of Trento and Verona, offers breathtaking views of Lake Garda. Anyone wishing to spend a day skiing can take the cable car from Malcesine (VR) and reach the ski slopes on Mount Baldo. On the Trentino side you can visit the charming town of Arco, dominated by the homonymous Castle. 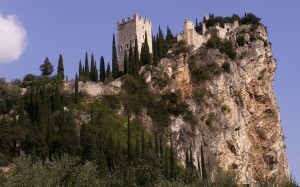 From the top of the cliff on which it is built, it enjoys an exceptional view on the plain of Upper Garda. You can get there along a path that goes up from the old town to the Castle of Arco through a landscape dominated by olive trees. Art lovers can also visit the Galleria Civica G. Segantini. This space, in collaboration with the Mart of Trento and Rovereto, home to a permanent exhibition of the works of the famous pointillist painter native of Arco. After a healthy outdoor activity and a visit to the museum, it is right to enjoy a little relaxation. What’s better, then, of a day at the spa? Passing on the Brescia side of the lake we find Sirmione, popular spa town considered the “Perla del Garda” for the beauty of its landscapes. We had already met Sirmione talking about favorite destinations for holidays on Lake Garda. The Sirmione thermal baths are an ideal solution to relax and recharge your batteries before returning to everyday routine. The beneficial properties of spa water combine with the unique surroundings of Lake Garda to give you a moment of pure relaxation. How to round off a holiday on Lake Garda? Participating in one of the many food and wine events to discover the rich wine and gastronomic production of the territory. Among the typical products of the regions bordering the lake, one of the most important is the extra virgin olive oil obtained from the many olive trees that characterize the landscape of the Garda. In Upper Garda’s lemon plantations, lemons and other citrus fruits are grown. They are used in the preparation of typical products such as Limoncello and the cedar water. The Trentino side of Lake Garda also offers honey, truffles, cheeses and the typical salted meat. A great combination with both the catch of the lake and the meat dishes, is the wine produced in the wine-growing areas of the Garda. In the northern areas Merlot, Cabernet and Vino Santo are the main productions. The southern vineyards mostly produce Bardolino and Lugana. The Garda is also renowned for the production of spirits and flavored grappas. Every Sunday afternoon until 19 February 2017, Castelnuovo del Garda (VR) will host the tenth edition of Musical Aperitifs. This festival of classical music, hosted by DIM Teatro Comunale di Castelnuovo del Garda, offers a series of appointments with nationally and internationally renowned artists. A unique opportunity to combine the pleasure of “classical music” with good regional food. If you’re ever in Cavriana (MN) from 3 to 5 February 2017, you can watch the Antica Fiera di San Biagio. On the occasion of the patron everyone can taste the traditional cake of San Biagio, stuffed with almonds and chocolate. This fair includes, among other things, the event “DULCISSIMA”, dedicated not only to traditional sweets but to all local products. From the 25th to 28th of February 2017 in Montichiari (BS) will be held Golositalia, a fair of primary importance in northern Italy with national and international exhibitors from the food, beverage & technology sectors. 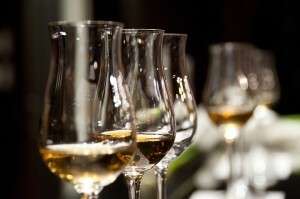 As part of this event it will be possible to participate in live demonstrations and tastings. Producers and starred chef will also be available for meeting. These are just some of the many activities at which you can participate on Lake Garda in winter. The Camping delle Rose in Moniga del Garda remained open until January 8 to give you a unique and relaxing stay in the beautiful surroundings of Lake Garda. The campsite will reopen with the arrival of summer. But please note that reservations for the summer season 2017 are already open. Follow us for updates and do not hesitate to contact the Camping delle Rose in Moniga del Garda for more information about bungalows, mobile homes and all our bespoke accommodation for your holidays.